and part of a private collection, are included in this section. "Midland Railway of England. The best route for comfortable travel and picturesque scenery". Undated. All six cards in this series are the same. 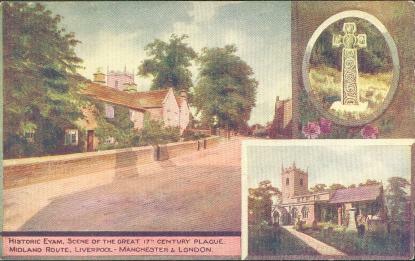 Here are the cottages where the Plague of 1666 first arrived in the village in a bundle of clothes sent from London. Also shown is Eyam's Ancient Stone Cross and there is an inset picture of the church, in the chancel of which is Mrs. Mompesson's Tomb. Her husband, the local vicar, persuaded the villagers to try to stop the plague spreading further, so they isolated themselves from the world. It is a story of incredible bravery and terrible tragedy. The caption on this card reads: Historic Eyam Scene of the Great 17th Century Plague, Midland Route, Liverpool, Manchester and London. (A Midland Railway card). The Dale, showing the arched railway viaduct which crossed the River Wye in the valley below, from Monsal Head. 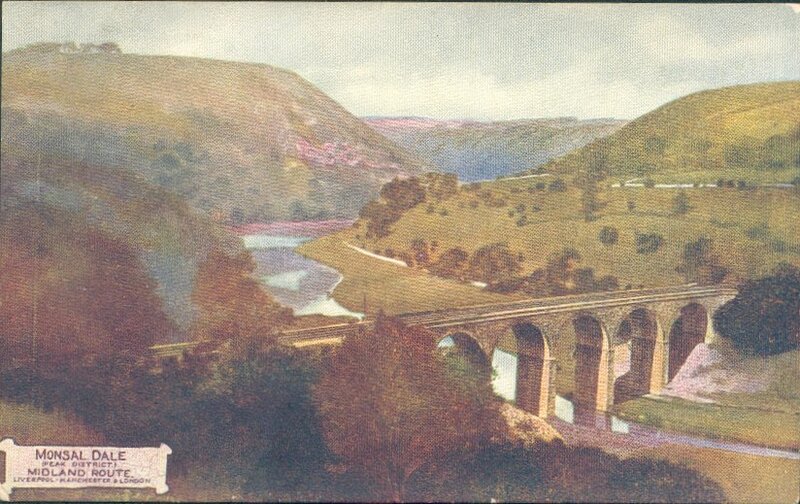 "The Wye on the west flows through Monsal Dale, a fine view of which is obtained from Edge Stone head, where the Wye is seen rolling its silvery waters from the north, here and there shaded by the ash trees, until passing beneath a rustic bridge, it soon turns westward, winding round a bold promontory, is lost to view in this direction" (White's, 1862). 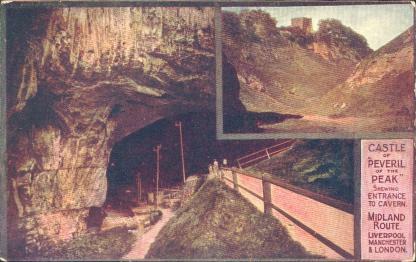 "Monsal Dale may with peculiar propriety be termed the Arcadia of Derbyshire" (Black, 1884). 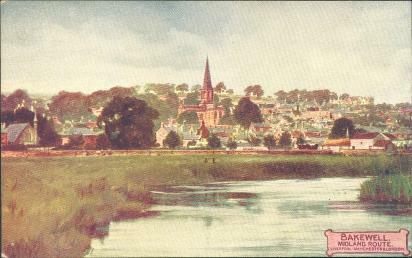 The market town of Bakewell, with Bakewell Church in the centre, seen from the opposite bank of the River Wye. The caption on this card reads: Buxton Capital of the Peak of Derbyshire, Midland Route, Liverpool, Manchester and London. (A Midland Railway card) Looking towards the Church from the River. The Crescent was erected by the Duke of Devonshire and building work began in 1780, with John Carr of York as the architect. The building cost £120,000. Before this, Rhodes, who was never one to mince his words, had written that "'the mound in front of the Crescent is no longer a lump of deformity; the genius of Wyatt has converted it into an object of beauty : all that taste and judgement could possibly effect has been done, and a series of beautiful promenades and verdant slopes now covers this once unmeaning hill". 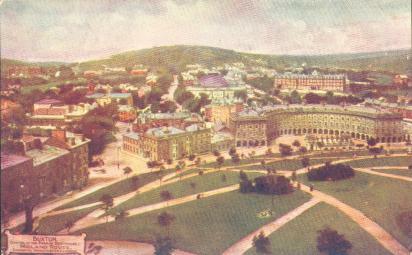 Picture Gallery : The Crescent, Buxton, 1840. 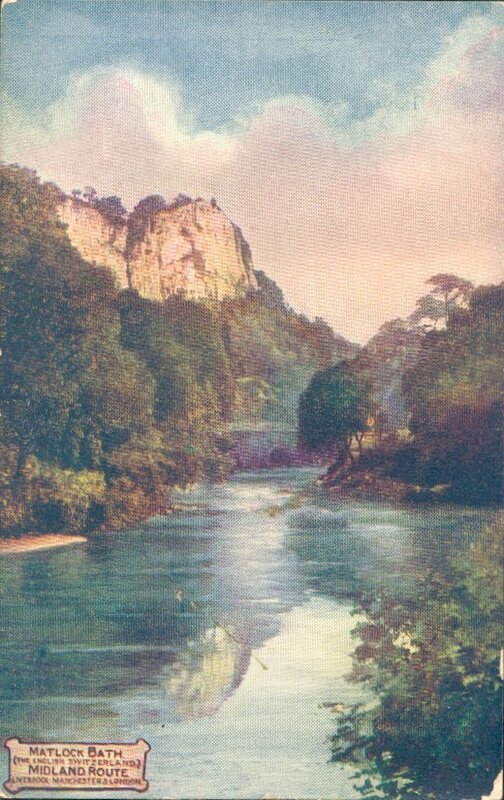 Lithograph, with accompanying text, from William Adam's "The Gem of the Peak". Writing in 1824 Rhodes stated that 'the family of the Peverils are said to have resided here, and nor without pomp and splendour'. 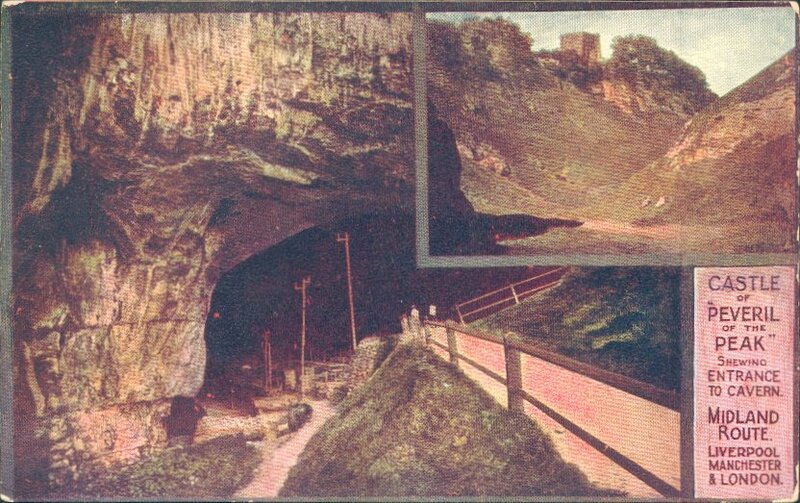 He goes on to visit 'Peak's Hole, one of the most striking and sublime objects in the mountainous districts of Derbyshire'. Postcards in a private collection and the collection and intended for personal use only. 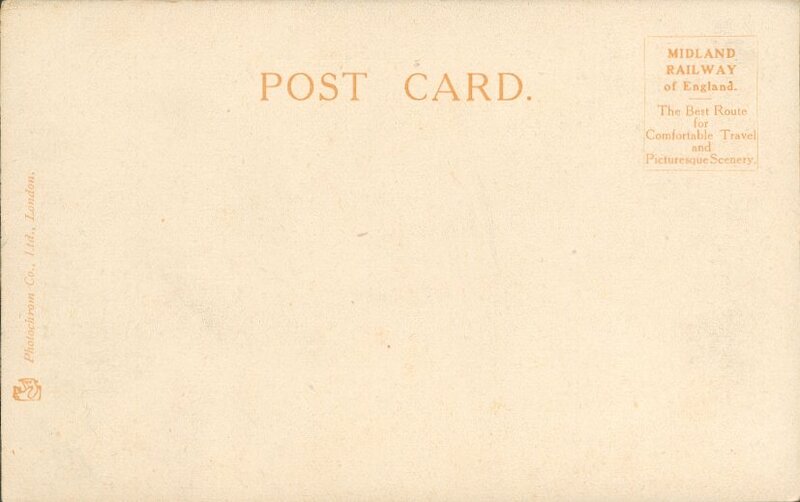 All cards published by Photochrome, Co. Ltd.., London. None were posted. Research provided by and © Ann Andrews. Please respect our Conditions of Use . Matlock and Matlock Bath : The last Station Master for more on the Midland Railway.